Oh my, sloppy joes with biscuits baked on top. Yes, please. Pretty please. 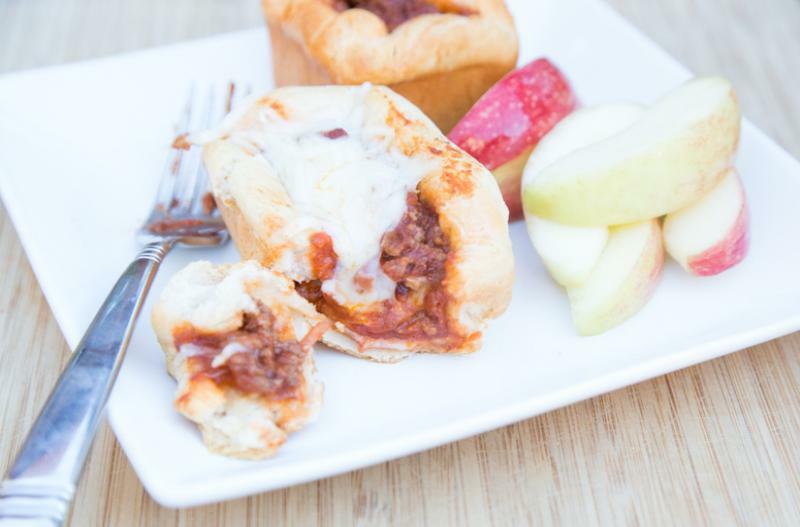 We’re freezing the meaty sloppy joe sauce, then adding to round baking dish and adding refrigerated biscuits on top. Most come in a 5 count package, and I like to split the biscuits in half and add the 10 halves on top of the meat sauce. This way, most of the top is covered and it doesn’t take as long for the biscuits to bake through, when they are cut in half. Enjoy! Open the sloppy joe sauce. Open and drain the corn. In a large skillet, brown the ground beef with the minced onion and garlic powder. Once browned, drain and then mix in the sloppy joe sauce and corn. Add the beef sauce to a pie plate or 9-inch quiche dish. Separate the biscuits into 5 pieces and cut in half. Place the halved biscuit dough, cut-flat side down, around the edge of the baking dish, leaving the middle exposed. Bake in the preheated oven for 11 to 13 minutes, or until biscuit dough is cooked through. 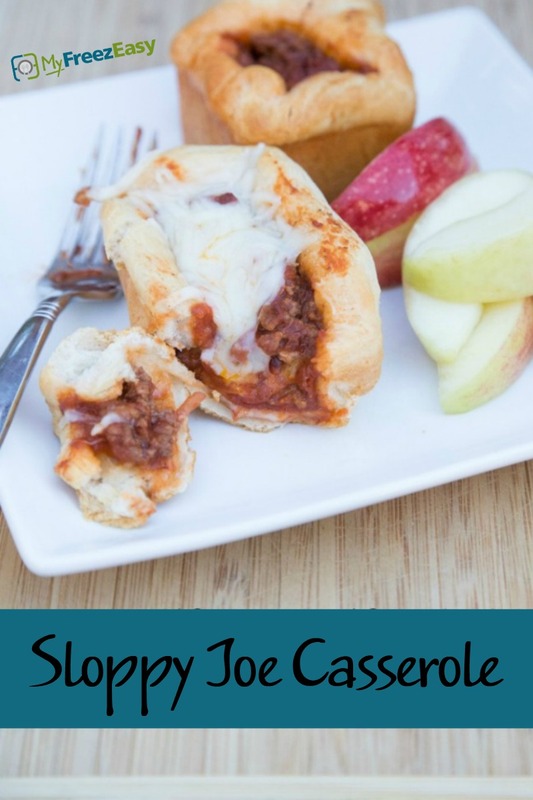 Serve Sloppy Joe Casserole with salad. Open 2 cans of sloppy joe sauce and 2 cans of corn. Do NOT freeze with the biscuits. Put tray in the freezer and freeze up to 6 months in fridge freezer or 12 months in a deep freezer. Thaw in the fridge overnight, or a warm shallow dish of water for about 20 minutes, before transferring to the skillet and reheating the meat sauce, then adding to baking dish with the biscuits and baking as directed. This meal is dairy-free if you use dairy-free biscuit dough. Thaw completely and reheat meat in the skillet. Transfer to pie plate or quiche dish and add halved biscuit dough around the edge of the baking dish. Bake at 400 F for 11 to 13 minutes.